reptile, no one knows for sure. 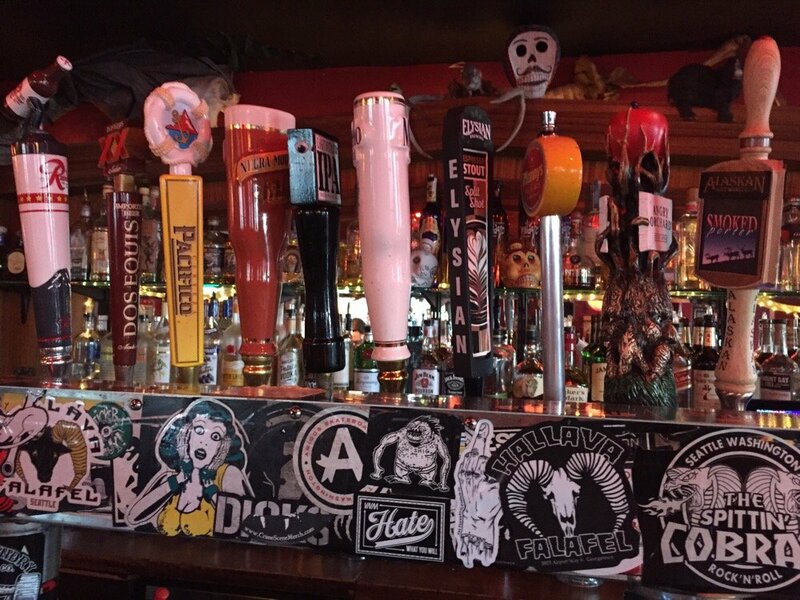 El Chupacabra is casual dining with an edgy twist, we’re best described as Mexican style cantina with punk rock roots. Everyone is welcome! The music can be a bit loud and the wait staff sassy but we’re out to show you a good time! 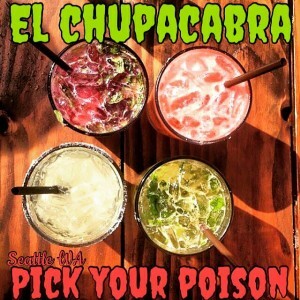 In Seattle, people come in for our margaritas, mission style Mexican food, good music & homemade hot sauces. We have two Happy Hour times seven days a week– 4 pm to 6 pm then 10 pm to Midnight! We offer weekend brunch 11 am to 3 pm Saturday & Sunday. Kids are ok in the dining areas during kitchen hours. If you have more questions visit our FAQ page or contact one of our locations.